Here’s a quick dinner that takes very little planning but turns out filling and satisfying. In the recipe I saw originally, it had tiny tiny pepperonis, which I at first thought were halved tiny tomatoes. I wanted to keep the tomato idea in there (makes sense, for pizza? 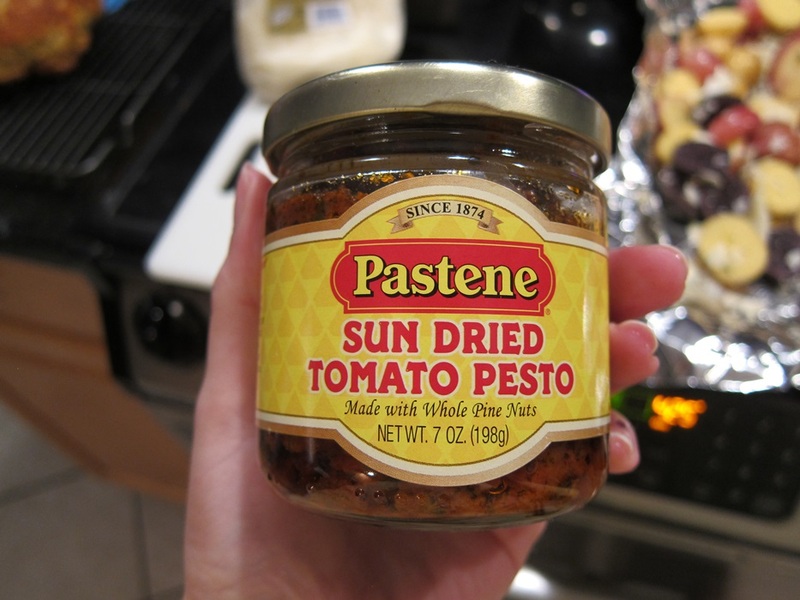 ), so added some sun dried tomato pesto, and I think it was a nice addition. Preheat your oven to 425 degrees. Line a jelly roll pan with foil and spray with cooking spray. 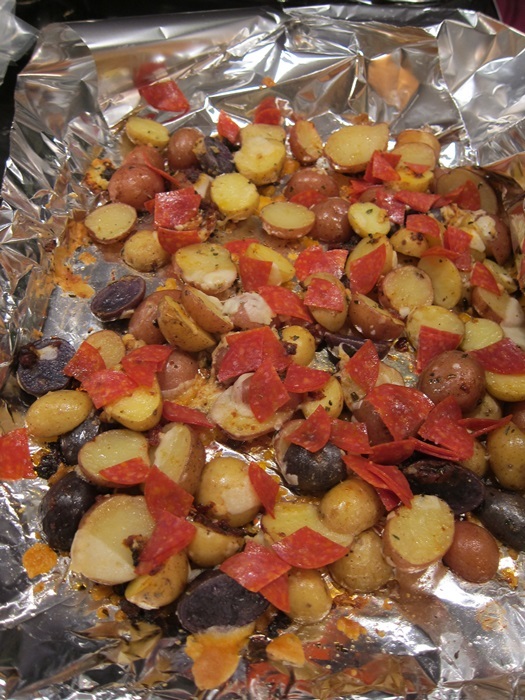 Spread the potatoes on the pan, drizzle the olive oil over the potatoes, then sprinkle the seasoning, salt, and cheese over the top. Stir together the whole mixture. 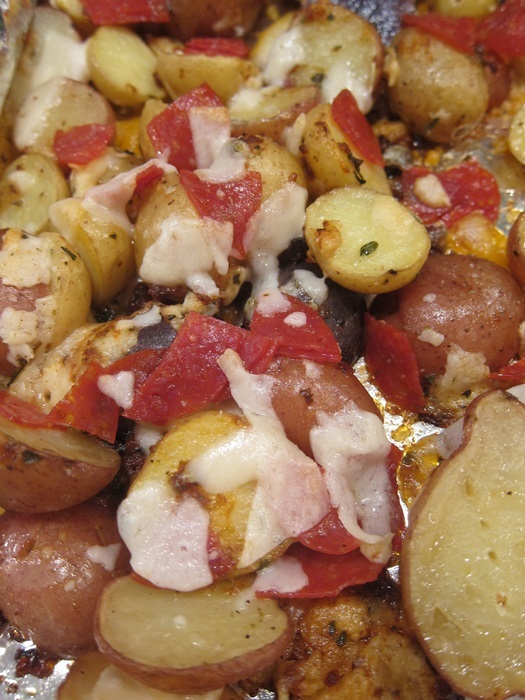 Bake 20-30 minutes, until the potatoes are easily pierced with a fork. Add the pepperoni, and more cheese if desired, and stir together. Bake another 2-3 minutes, then serve hot. Hard to go wrong with cheesy potatoes! Lightly adapted from Noble Pig. Preheat your oven to 425 degrees. Line a jelly roll pan with foil and spray with cooking spray. Spread the potatoes on the pan, drizzle the olive oil over the potatoes, then sprinkle the seasoning, salt, and cheese over the top. 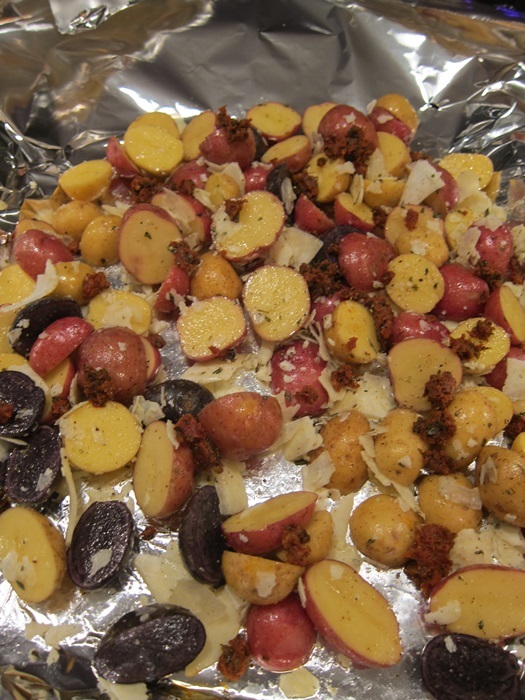 Stir together the whole mixture, then bake 20-30 minutes, until the potatoes are easily pierced with a fork. Add the pepperoni, and more cheese if desired, and stir together. Bake another 2-3 minutes, then serve hot. 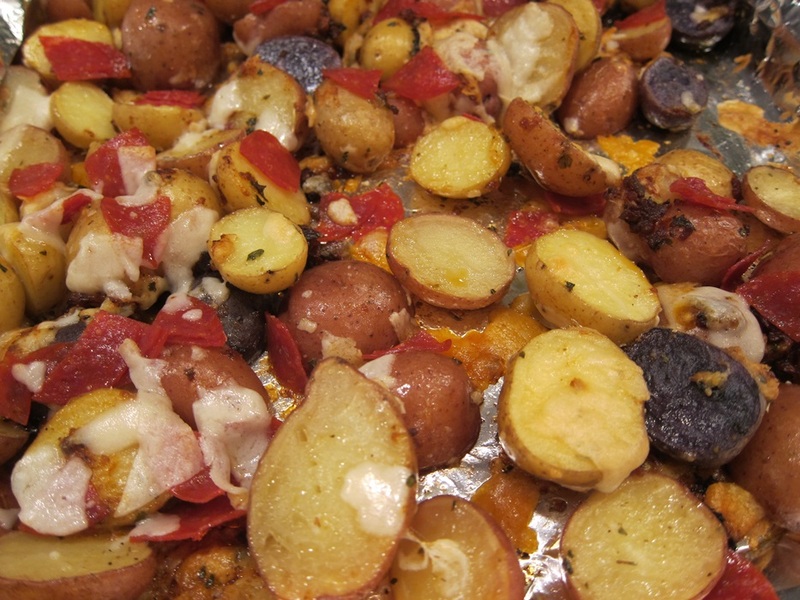 This entry was posted in Dinner and tagged add more cheese, Pizza, potatoes. Bookmark the permalink.